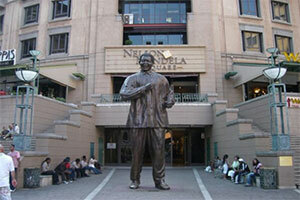 Tour features: Constitutional Hill, Carlton centre, Maboneng Precint and Lower Houghton. 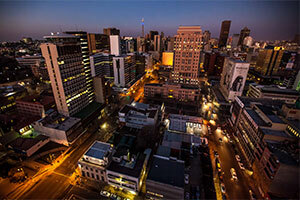 South Africa’s largest city remains its financial and commercial heart. It’s in this fast-paced metropolis that the country’s radical political and social transformation is most evident – this is the ‘Rainbow Nation’ at work. It’s a heady experience, with contrasts of every kind round every single corner. 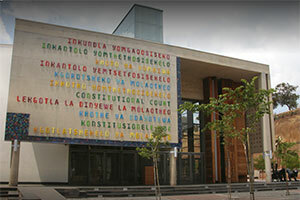 Our tour sets off for Constitution Hill, home of South Africa’s architectural marvel, the Constitutional Court and site of Johannesburg’s Old Fort Prison (closed Sundays). 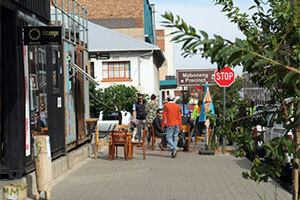 We explore the inner city of Johannesburg and the influence the discovery of gold brought to this city and indeed South Africa. We proceed for a visit to the Top of Africa, at the 223m-high Carlton Centre, Africa’s tallest building with magnificent views particularly on a clear day – you can see as far as the capital city of Pretoria and you’ll be amazed at the number of trees you’ll see, easily one of the largest urban forests in the world! We return to your hotel via the flipside of the coin, the lush, up market suburb of lower Houghton. A city of contrasts, that’s for certain. Included Transportation, sightseeing as per itinerary, entrance fees, services of a registered English -speaking guide. Comments A concise tour of the financial capital of South Africa.